Porsche Boxster and Cayman get new names and four-cylinder engine | What Car? Porsche has announced new names for its Boxster and Cayman sports cars, as well as the option of a new turbocharged four-cylinder engine that will be available from next year. What will the new names be? 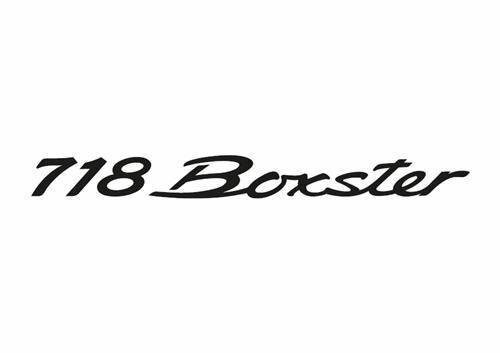 The sports cars will be renamed 718 Boxster and 718 Cayman. This is in reference to the 718 racing cars built by Porsche between 1957 and 1962. What is the new engine? No details of the new engine that will be offered in the cars have been confirmed by Porsche at this stage. However, we expect the engine to be 2.0 litres in capacity and come with around 261bhp in the entry-level models and 311bhp in S versions. Facelifts for both the Boxster and Cayman are due next year. It is at this point where they will be given their new names and engines, as well as styling changes. Why is Porsche doing this? The biggest reason for the new smaller engine is economy. Like all car manufacturers, Porsche is looking to reduce its CO2 emissions and improve fuel economy but without compromising on performance. Adopting a four-cylinder engine should do this. Porsche has also confirmed that the Boxster roadster will be positioned at a higher price level than the Cayman coupe, as is the case for the larger 911. This could also bring an end to Porsche’s strategy of giving the Cayman slightly more power and performance than the equivalent Boxster.